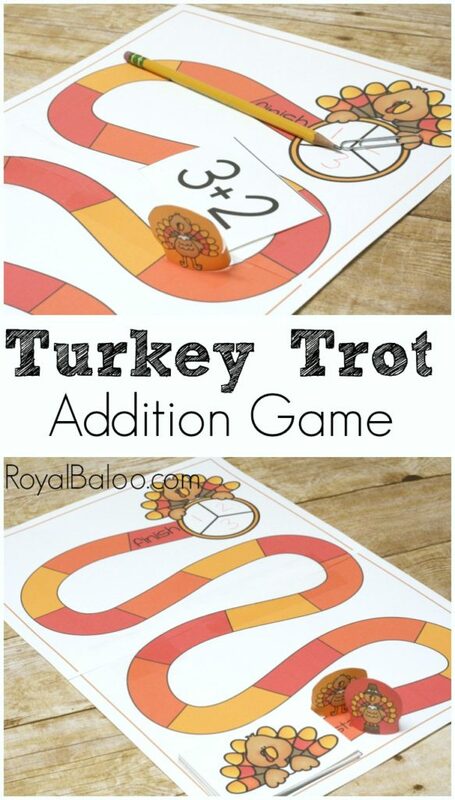 We have a tradition on Thanksgiving where I print out activities (like this Thanksgiving Addition Game) and the boys have something to entertain them for that hectic 15 minutes while we are finishing the food and putting it on the table. The challenge for me is to create something that is entertaining enough that they don’t get distracted by the constant movement. I’m hoping this game will fit the bill! 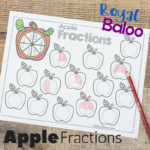 The 31 Days of Printables are quickly coming to a close, but it’s really not done yet! We have more to come and the best way to stay informed is on the newsletter! 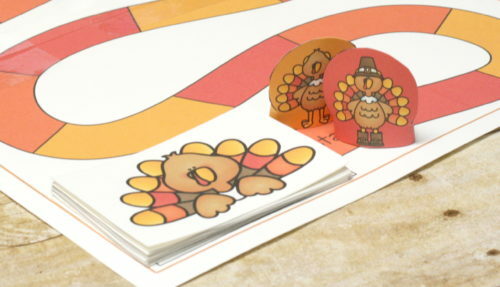 The little turkey pieces are printable too. Just cut out and tape the long ends together. The pieces will stand up just fine! I kept the premise simple since I wanted to use this with younger kids. Just spin with the spinner (use a paper clip and pencil for the spinner pieces) and move that many spaces. 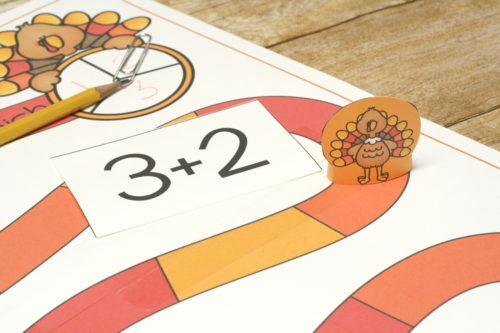 Take a turkey card and answer the problem! First person to the end wins. The game cards are all +1, +2, or +3. We are working on “counting on”. For Logi-Bear (5) I just let him figure it out how he wants. 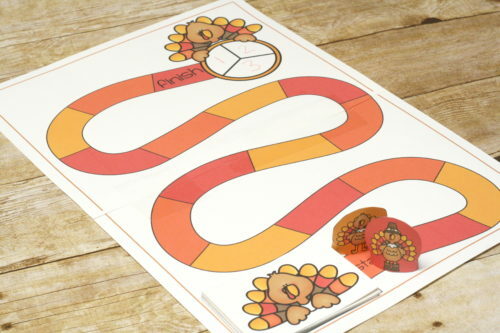 Our Turkey Number Line was available to him as well. Royal (7) was encouraged to count on. So on a problem such as 8+2, he wouldn’t count to 8. He would just say “8… 9, 10”. Counting on it particularly useful when you start adding numbers like 63+5. Counting to 63 obviously wouldn’t be worthwhile! Our focus on getting to the end was more about getting the turkey home and less on winning. We just aren’t big on competition here. I know that encouraging them to get the turkey home would be more motivational than winning the game! 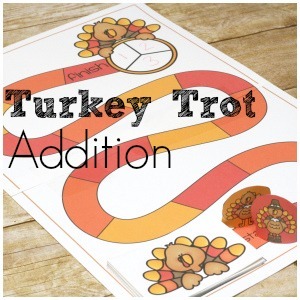 Go Here to Download the Turkey Trot Addition Game! Don’t forgot to sign up for the newsletter. 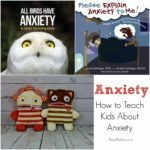 I promise lots of puns and other lame jokes…or maybe i’ll just share the best printables and such. This looks like a lot of fun. Thank you for creating it! We’ll enjoy it this month.